Your doorway is the gateway to your castle. It is one of the first things visitors see when coming to your home, and it is one of the first impressions that is made on everyone who sees your house. You want to make sure that when you do have company, or that when you enter your home, everyone who sees that entrance feels like you’re taking good care of your it. Unfortunately, the summer heat can play a part in hurting your door. Listed below are some common tips to keep in mind when trying to prepare for the annual heat of summer. Your door can stand to be refinished, and using a professional refinishing service is something every homeowner should consider. It doesn’t matter the size or the quality of the materials, a good refinish job will mean it will look better, and the materials will be fresher and therefore stronger. A refinished door won’t have any of the wear and tear that an untouched door will have weathered, and it will hold up better against the warmth and rain. If your door is made from wood, this can mean the removal of any chips or dents and a fresh coat of marine varnish. Your weather stripping can be worn, frayed, or in some cases, completely ripped out. While it may not seem that important, it can result in a massive change in your heating and cooling bills. Weather stripping is relatively inexpensive, and it is a repair that you can do yourself. Even if you have weather stripping, you may want to consider an upgrade to help fight against cracks, tears, or poor quality materials. Consider using a professional service to ensure that the seal is tight and will hold up during the hot & cold months. Good sealant on your cracks, openings, and gaps is critical. If a refinish isn’t in the cards, or if the damage is too severe, you may want to consider looking at some good sealant. Also, if you have a wooden door, an annual coat of weather sealant might be just the thing to keep your door healthy and the wood from becoming too weather-worn. On top of that, you may need to add some extra sealant to larger cracks, or to help close up gaps where stripping isn’t enough to create a good seal. If your door has any glass on it, you will need to check the seal on those panes regularly, and a good shot of sealant may be just want the repairman ordered. When looking at fixing your door, don’t stop at the door itself. You should also routinely look at the quality of your hinges, your handle, and your lock. These can get damaged or worn over time, and like anything else, may need to be replaced. Not only can this help with stopping damage to your door, but a new handle or lock system can improve the aesthetic quality of your home. Plus, the addition of a more secure locking system can mean better security, and in some cases, might even help to lower your homeowner’s insurance. 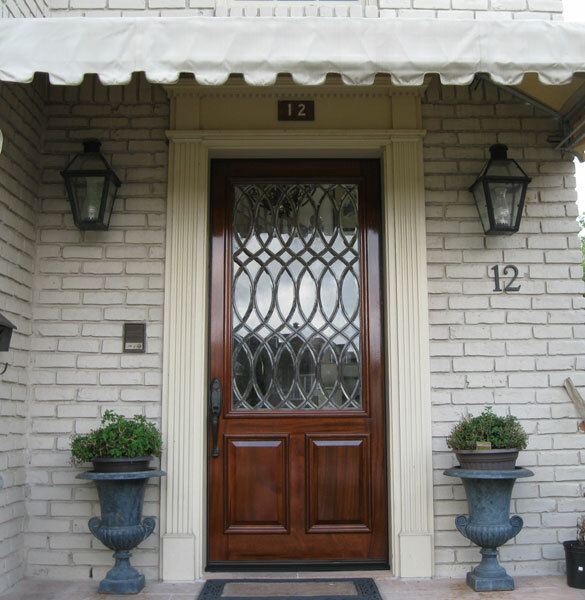 Finally, a repaired and beautiful door can lend to the overall perceived value of your home. This means that a little repair work now could mean a higher selling price for your home in the future. Your home is your castle, so treat your entranceway as such. It’s the first thing you see, and the last thing you’ll touch. Remember, a little maintenance now can result in a long-term commitment to your home that keeps you safe, healthy, happy, and warm.